A fun yet simple way to try veganism. Once in a while, we like to challenge ourselves. A challenge can still be fun, right? 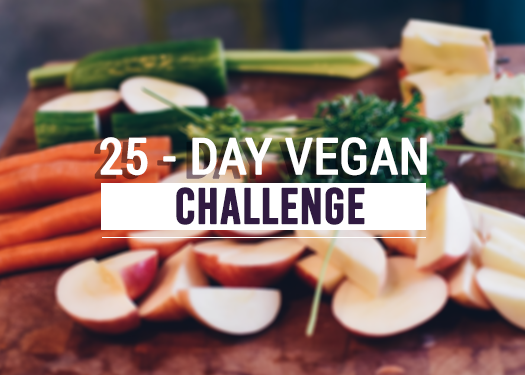 So, we’re embarking on a 25-day vegan challenge, eliminating all meat, dairy, and other animal products from our diets for a whole 25 days! Whether you want to improve your overall health or just shed a few pounds let’s try vegan!